Independent councillor Victor Boyhan will contest the upcoming general election in Dun Laoighaire. 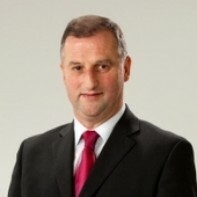 Boyhan has served two terms on Dun Laoighaire Rathdown Council, from 1999 to 2004 and from June 2009 to the present day. As a child, Boyhan was raised in orphanages in Dun Laoighaire and Monkstown and, as a result, has been a staunch advocate of reform in Ireland's childcare legislation. This is his first general election campaign. Boyhan is a friend of former International footballer Paul McGrath, having grown up together in care.